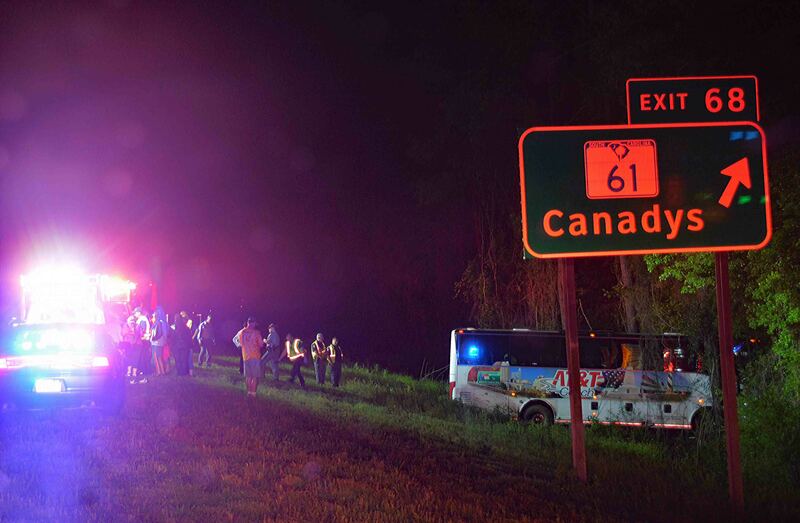 Seventeen people were injured when a charter bus lost control and crashed on I-95 near the 68 mile marker early Sunday morning 29-April. The incident was reported at 01:10 after the northbound charter bus left the roadway and entered the median. The bus continued through the cable barrier, crossed the southbound lane then went down an embankment before entering the woods and striking several trees. Click here for more information. Fire-Rescue and City of Walterboro Emergency crews covered several events at the annual Rice Festival festivities. The Walterboro Bike Criterium was held Wednesday 25-April. It took place downtown on the City streets running through the downtown business district on Washington Street and back to Hampton Street. Several Medic units and First Responders stood by on the straightaways and in the curves to provide medical care. 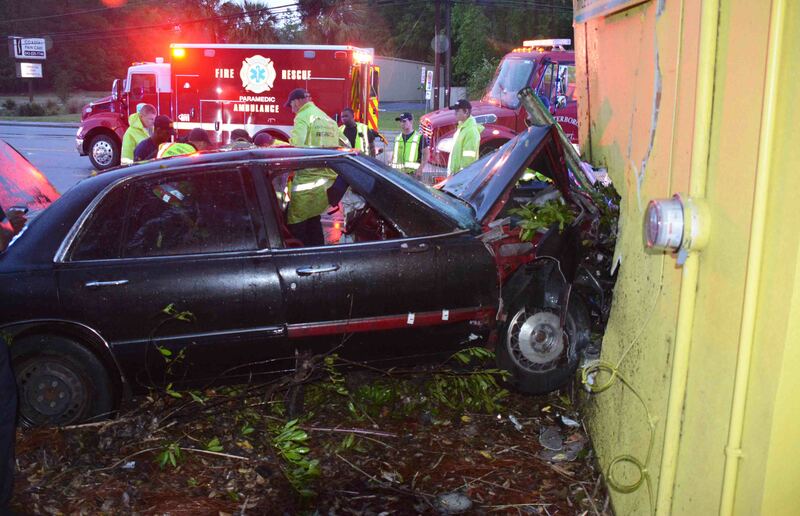 Only one crash resulted in a person being transported to Colleton Medical Center. Click here for more information. 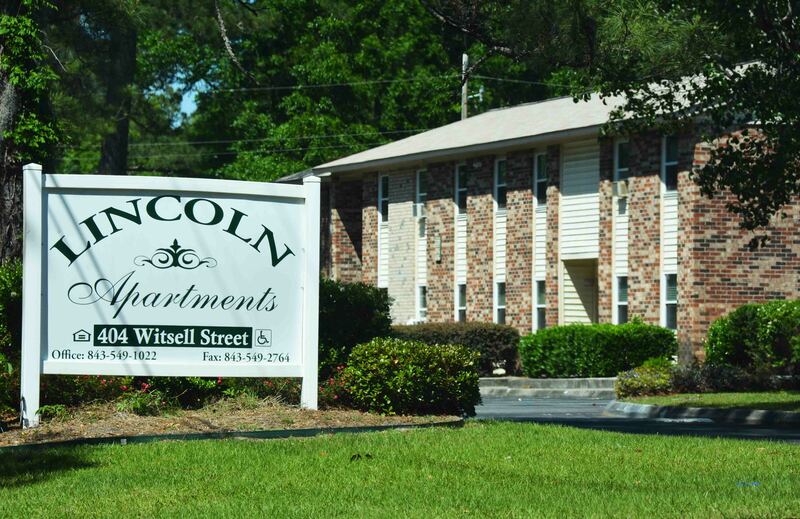 A 17 year old male received a gun shot wound to the leg during an altercation at Lincoln Apartments located at 404 Whitsell Street Wednesday evening 26-April. At 19:56, 9-1-1 received reports of two people shot at the location near the 500 building. Medics 1 and 19 were dispatched to the complex. Law Enforcement cleared the scene and determined only one person was injured. Click here for additional information. 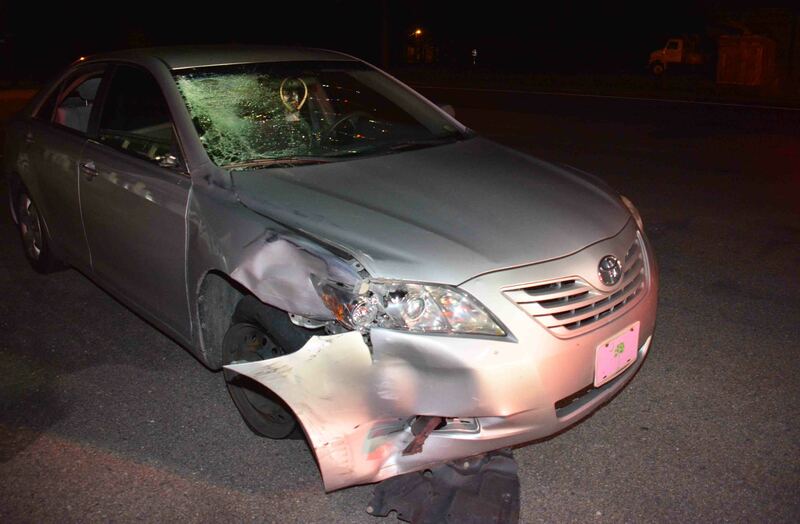 A Neyles man was killed after being struck by a car on Cottageville Hwy (US Hwy 17-A) approximately ¼ mile north of Merrick Drive Tuesday evening 25-April at 00:47. The man, who was wearing dark clothing, was traveling northbound on a bicycle when he was struck from behind by a Toyota Camry. The bicycle was equipped with standard reflectors, but lacked any illumination devices. Click here for more information. 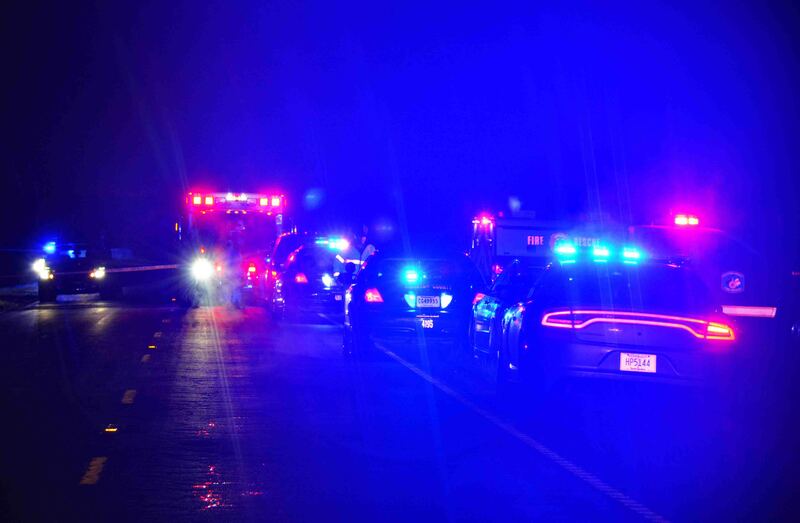 A Smoaks man died from injuries received in a single car, high speed MVC on Lowcountry Hwy (US Hwy 21) south of Sagebrush Road Tuesday evening 24-April. 9-1-1 was notified of the collision at 19:30. Medic 7, stationed in Smoaks arrived minutes later to find the older model Ford Mustang in the woods on the northbound side of the highway. Click here for more information. A single vehicle accident in the 1900 block of Bells Hwy (SC Hwy 64) south of Lodge, sent an adult female to the hospital with serious injuries. 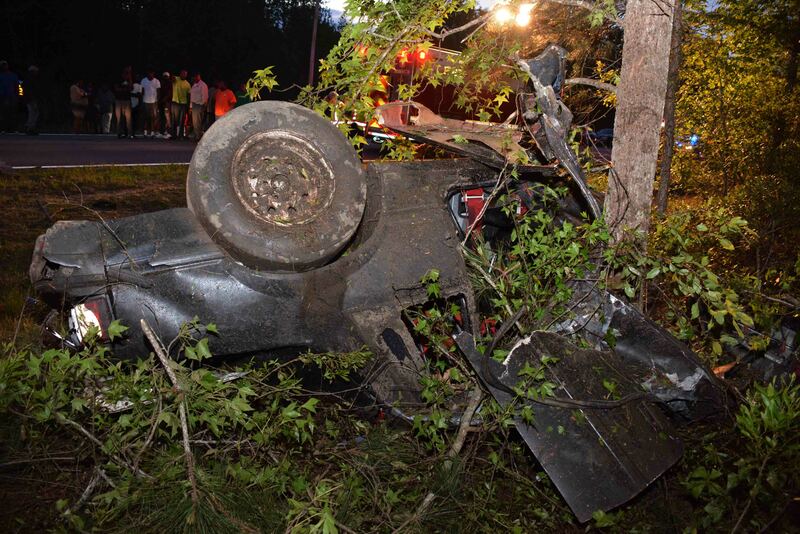 The woman’s car left the roadway at a high rate of speed, struck a tree and overturned. Click here for more information. 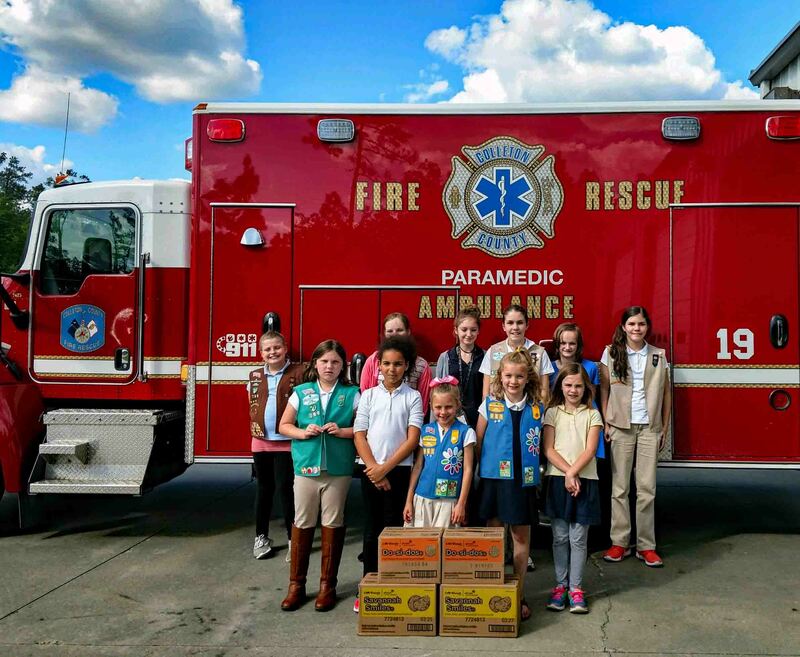 Local Girl Scout Troops donated several cases of delicious Girl Scout Cookies to Firefighters on Tuesday afternoon 24-April. The group dropped of cases of cookies at Stations 1 and 19 which was distributed to other stations. The crews were very grateful for the thoughtfulness of the local Girl Scouts. 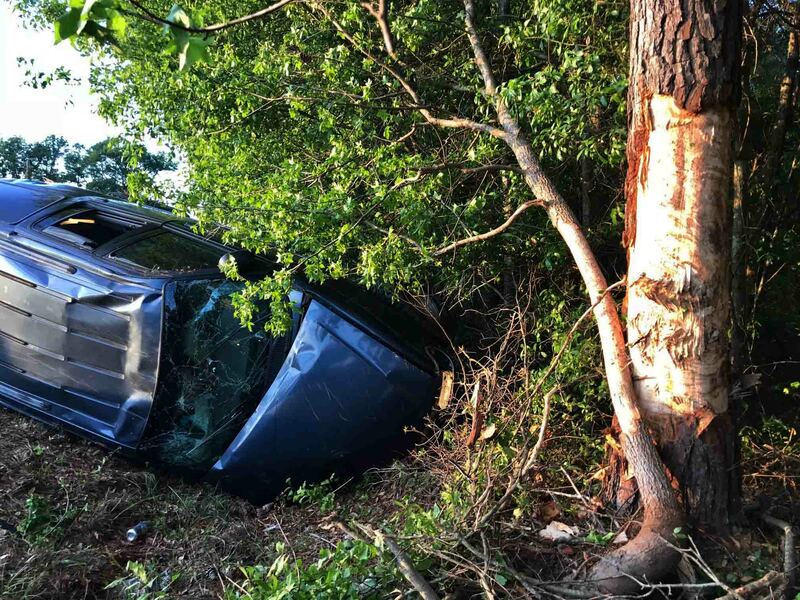 Several individuals escaped injuries after their vehicles struck a tree on Augusta Hwy (SC Hwy 61) at Byrd Farm Road Monday evening 23-April. 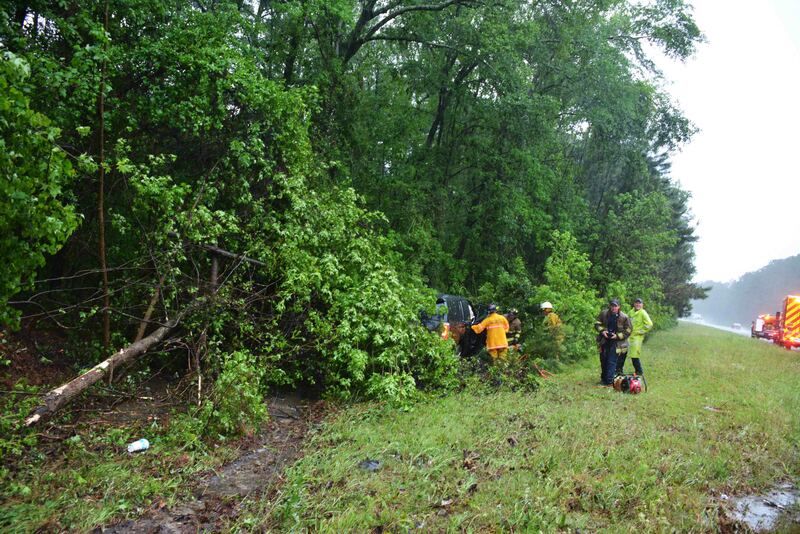 This was one of several accidents that occurred during severe thunderstorms that took place most of the day. The large tree fell across Augusta Hwy blocking the entire road. Initial reports indicated multiple injuries and entrapment. Engine 36 arrived and found no one was hurt. 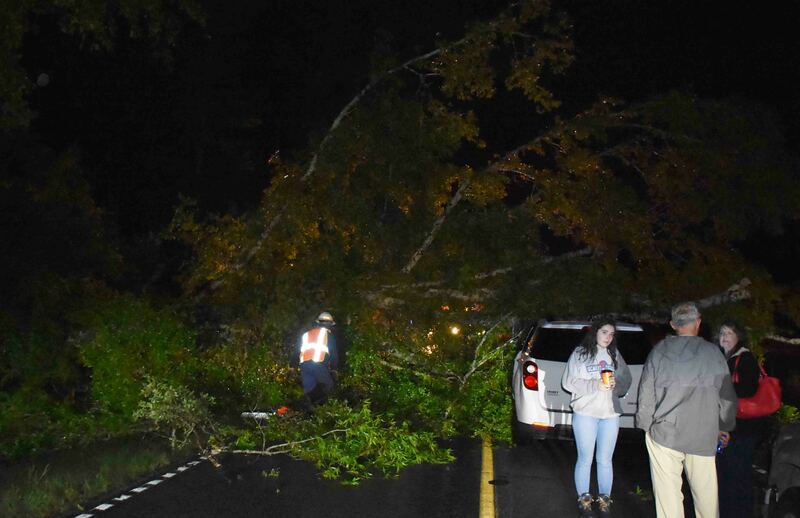 They canceled other responding units, then stood by until SCDOT crews used a back hoe to remove the tree. Click here for more information. Three people suffered serious injuries in a two vehicle head-on collision on Cottageville Hwy (US Hwy 17-A) south of Round O Crossroads Monday evening 23-April. At 19:53, Fire-Rescue units were dispatched to the location during a heavy thunderstorm. This was one of twelve accidents with injuries that occurred in Colleton during the storms over an eight hour period. Click here for more information. A vehicle collided with a building in the 700 block of North Jefferies Blvd Monday evening 23-April at 19:30. The car traveled through the parking lot of the McDonalds restaurant, then ran into the back of the Auto Money Title Loans store. Both the building and the car suffered substantial damage. Click here for more information. An adult female suffered a head injury after the Suburban she was traveling in left the roadway near the 63 mile marker northbound Monday afternoon 23-April. At 15:52 during a heavy thunderstorm, Fire-Rescue was sent to the location for a single car MVC. Click here for more information. A Sheriff’s Deputy patrolling on Jefferies Highway (US Hwy 15) Wednesday afternoon 18-April, located a large woods fire in the 4200 block. At 16:51, Fire-Rescue was dispatched to the location. 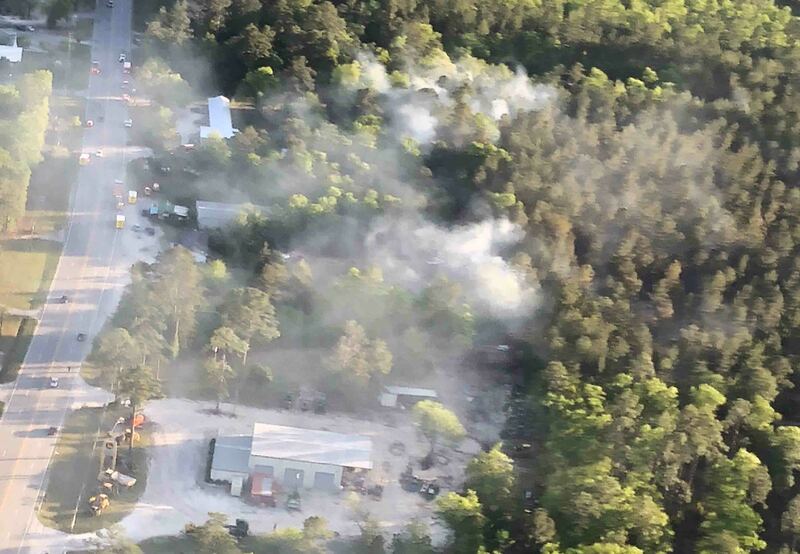 On arrival, Engine 19 found a fast moving woods fire behind several businesses and a storage building, a storage container and multiple vehicles on fire. A structural assignment was requested bringing three additional stations, as well as a tractor from the Forestry Commission. Click here for more information. 04/16/2018 - Click here to view a public service announcement recognizing National Volunteer Week. 04/16/2018 - Click here to view a public service announcement regarding our Emergency Management Division's (EMD) Community Emergency Response Team (CERT) in local community centers. Firefighters saved a residence at 650 Winter Drive Sunday morning 15-April at 01:01. 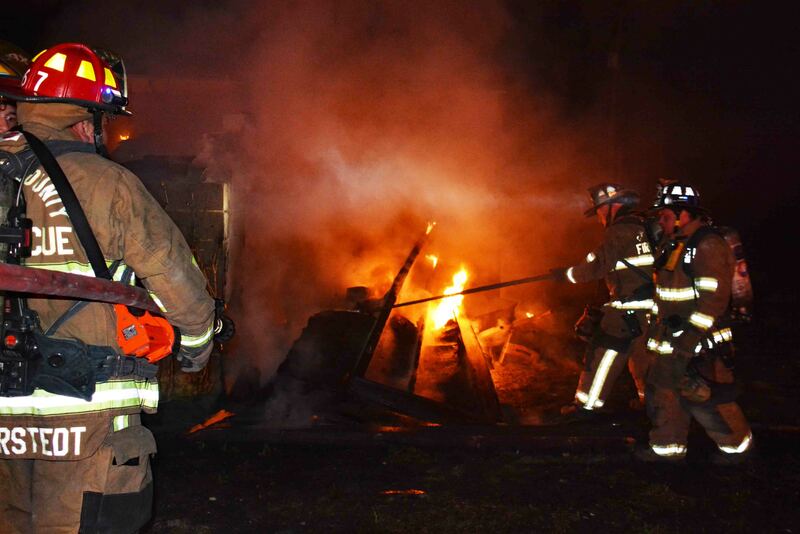 Engine 9 arrived at the location to find the wooden porch on the exterior of the singlewide mobile home well involved. Firefighters deployed one 1-3/4 handline to the building and quickly knocked down the flames. The fire had burned into the living space and entered the attic. Firefighters removed the siding and pulled the ceiling in the living room to reach the remaining flames. Click here for more information. A person walked up to Station # 26 reporting a woods fire off of Winning Way Saturday afternoon 14-April at 15:01. Engine 26 arrived in the area and located the fire in the 200 block of Lightning Bug Lane. The fast moving grass and woods fire burned under a mobile home igniting the building. Firefighters deployed multiple handlines to combat the fire and requested a structural response. Crews pulled the siding off of the back of the building to reach the fire inside the wall. 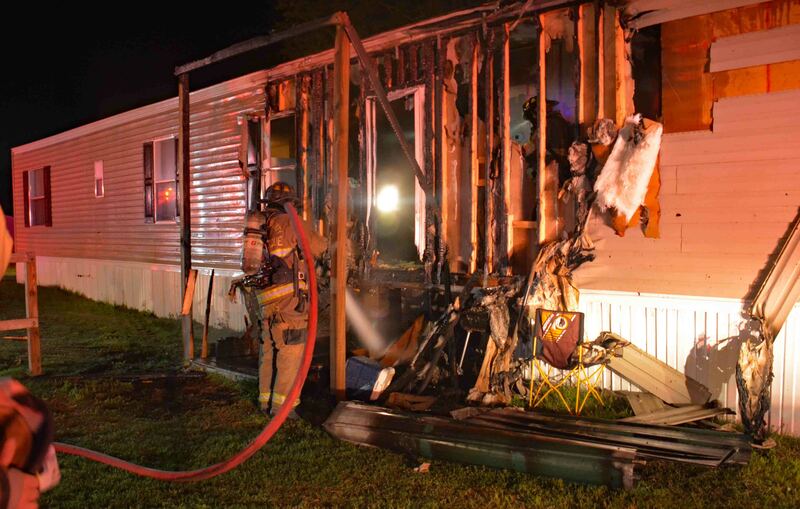 Crews were able to stop the spread of the fire in the mobile home, saving the building. Click here for more information. 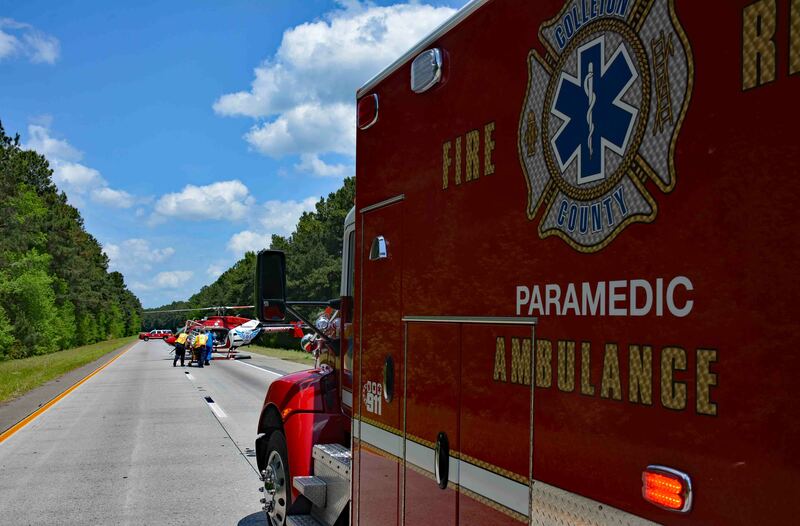 An adult male from New York was critically injured in a single car MVC near the 62 mile marker northbound on Interstate 95 Saturday afternoon 14-April. At 12:38 Fire-Rescue was notified of the accident when a Dodge Dakota pickup truck left the highway at a high rate of speed just north of the McLeod Road interchange. The vehicle over corrected and left the roadway a second time, entered the median, then struck several trees. The impact caused heavy damage to the small pickup truck and ejected the male passenger. Click here for more information. 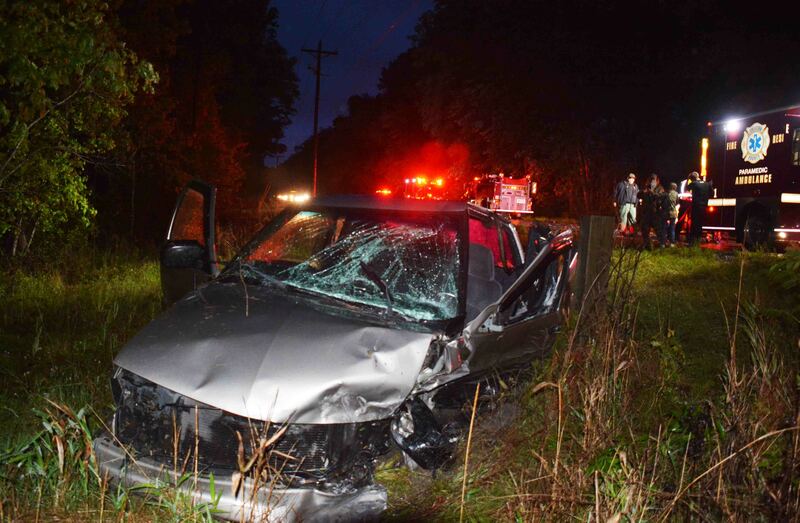 At 02:40 Sunday morning 08-April, Medic 7 and Station # 17 were dispatched to a reported vehicle accident with a car in the ditch in the 8800 block of Augusta Hwy (SC Hwy 61) in the Springtown Community. Deputies arrived minutes later, advising there were two patients with gunshot wounds and the patients appeared to be deceased. When Firefighter-Paramedics arrived they found the passenger car in the ditch on the southbound side of the highway. Click here for more information. 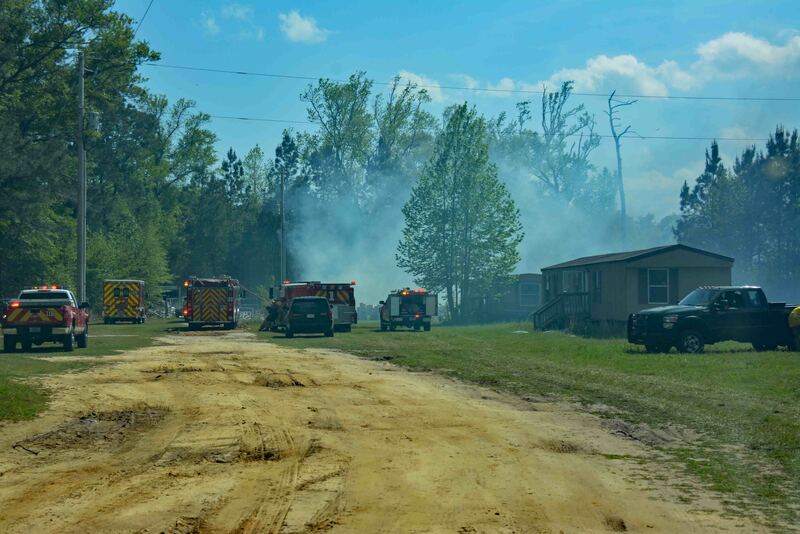 An unattended grass fire destroyed an approximately 800 sq. ft building near the intersection of Winchester Rd and Jefferies Hwy. Thursday evening 05-April at 20:54. Engine 19 arrived to find the building well involved. Firefighters deployed two handlines to extinguish the structure. The building suffered considerable damage. Apparently someone had been burning off the property most of the day. When the fire was reported there was no one watching the fire. Click here for more information.